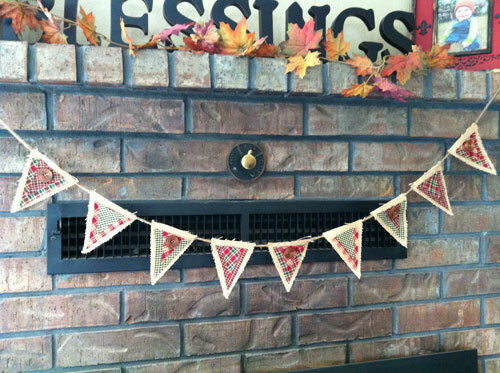 One of our favorite Christmas craft projects in the Studio this Fall has been decorating blank burlap banners. This banner blank can be easily created yourself with a little bit of burlap, some jute string and glue or you can buy a premade banner. Sara, our designer, used one 6" Christmas Homespun Charm Pack with this project which gave her more than enough Christmas fabrics to make this cute banner. 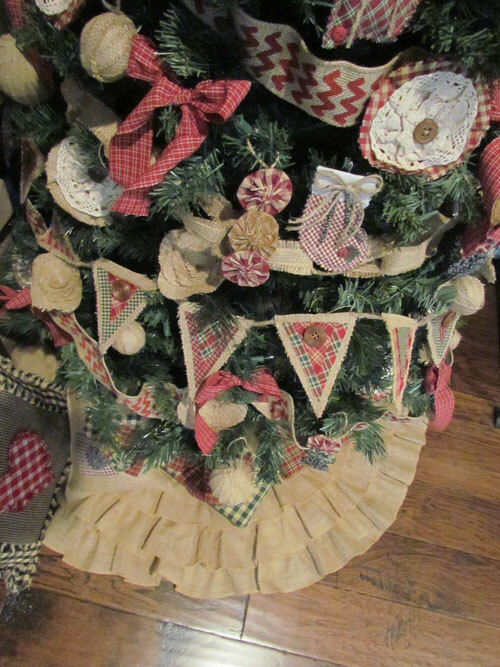 You could just as easily use the fabric scraps that you might have at your house. Sara cut two different size triangles and glued one of each onto the burlap flags with a hot glue gun. Then to create a little extra interest, she added a wood button to every other flag. 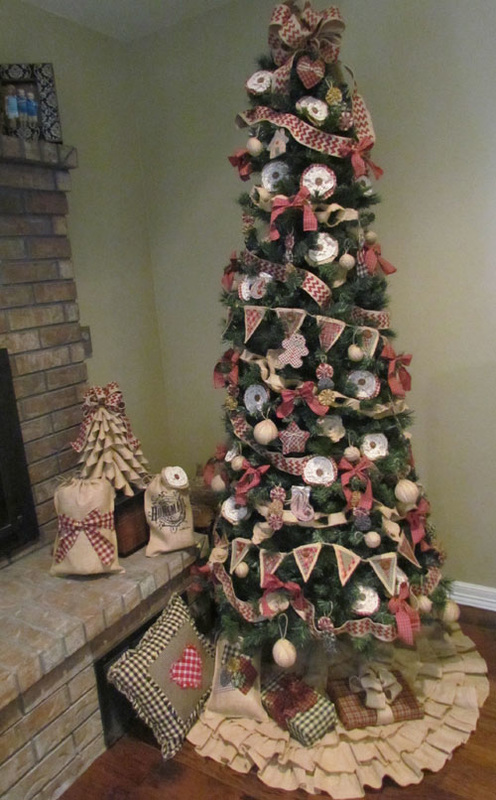 We used this banner to decorate our homespun & burlap Christmas tree in the studio but it could easily be used anywhere in the home, such as on a fireplace as these pictures show.